Energy policy costs should be recovered through taxation rather than being levied on energy bills, the UK Energy Research Centre (UKERC) has argued in a new report. It says the current arrangements are regressive, with the poorest households contributing a disproportionately large share of their income towards low-carbon subsidies. According to the study, produced by researchers at the University of Leeds, policy costs accounted for 13 per cent – or £132 – of the average energy bill in 2016. The impact was greatest on the poorest ten per cent of households in the UK, which spent 10 per cent of their income on energy bills. By comparison, the richest ten per cent of households spent just 3 per cent of their income on heat and power. The report says the policies funded through energy bills have helped to significantly reduce costs for consumers. Without recent improvements in energy efficiency, the Committee on Climate Change has said the average annual bill would be £490 higher than it is today. However, only 17 per cent of the policy costs for 2016 resulted from programmes to support low-income households – the Energy Company Obligation and the Warm Homes Discount. 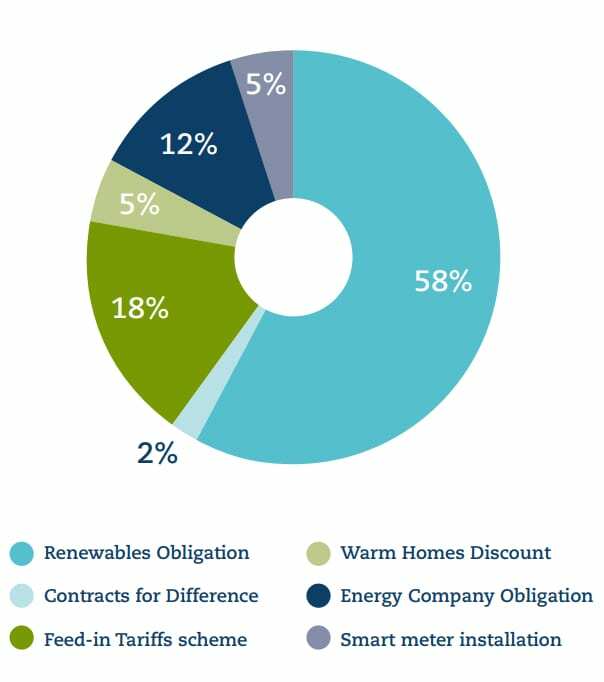 More than three quarters covered low-carbon subsidies through the Renewables Obligation, Contracts for Difference and Feed-in Tariff schemes. The report also notes that household electricity and gas use represent only 12 per cent of final energy use in the UK. Researchers calculated the lifestyles of the richest households require nearly four times as much energy as those of the poorest due to the products and services they consume. Meanwhile, the richest households contributed only 1.8 times more towards policy costs than the poorest. The study says funding energy policies through general taxation would reduce costs for 70 per cent of households. The poorest would pay nothing, saving them £102 annually, while the richest would pay an additional £410 per year. “It is essential that climate change policies do not cause further inequality by penalising families with the lowest energy consumption and who are most at risk of fuel poverty,” said UKERC co-director John Barrett. 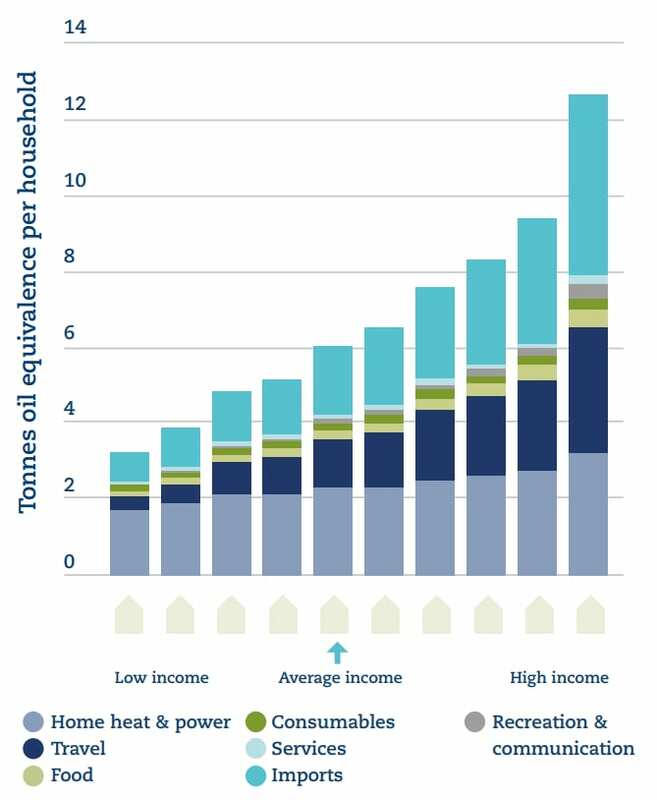 UKERC researcher Anne Owen, said: “Our work shows that once you consider the hidden energy in the manufacture of all the goods and services we buy, it is only fair that richer homes contribute more to energy policy costs. Source: UKERC, Funding a Low Carbon Energy System: a fairer approach?